No one does dark chocolate dipped apricots like we do! 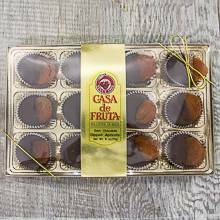 Enjoy twelve extra fancy apricots that are hand-dipped in rich dark chocolate and full of sweetness. Hand-packed in a 6 oz. gift box.